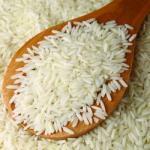 There is increase d concern regarding the authenticity of basmati rice throughout the world. For years, traders have been passing off a lesser quality rice as the world’s finest long-grained, aromatic rice, basmati, in key markets like the US, Canada and the EU. A proof of principle method has been established to assess the authenticity of basmati rice using ‘off the shelf’ supermarket samples with the latest advancements in high resolution GCMS hardware and informatics. Volatile compounds of interest were extracted from heated dry rice via SPME and headspace. Following a generic GC separation, detection was performed using a SYNAPT G2-Si MS run in HDMSE mode.Collection of a HDMSE dataset offers a high level of specificity owing to the orthogonal nature of the ion mobility separation to the GC separation. Progenesis® QI, the latest OMICS informatics package from Waters, is designed to utilize the 4-dimensional data produced during a SYNAPT G2-Si HDMSE acquisition. Initially, alignment of all injections was performed followed by the unique peak co-detection process resulting in the same number of analyte measurements in every sample and no missing values. Data from all isotopes and adducts of a parent compound were then deconvoluted giving a single robust and accurate quantitative measurement for that parent compound. The peak picking and deconvolution algorithms ensure a high quality compound table where adducts and isotopes are grouped with the parent m/z. Compounds of interest from the rice samples were highlighted using various multivariate statistical techniques such as PCA and identified using elucidation tools and relevant database searches within the software platform. This workflow has general applicability to many areas of discovery OMICS and food research where biomarkers differentiating between two or multiple groups are required.